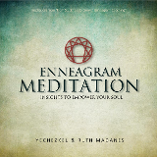 (Coaching with the Enneagram, the MBTI and Anthony Robbins-Cloe Madanes' HNP) by Yechezkel & Ruth Madanes, with a Foreword by master trainer of psychotherapists Cloe Madanes. "The beauty of this new Enneagram and Coaching book is how the authors have created a non-pathologizing methodology that recognizes both our humanness and our spiritual core. We highly admire the spirit and depth of their approach to coaching with the Enneagram" -- Don Riso & Russ Hudson, co-authors of the international best-sellers Personality Types and The Wisdom of the Enneagram. This widely acclaimed book offers coaches, consultants, trainers, and therapists the necessary tools to transform their careers using the Enneagram, a sophisticated personality types system, as a basis for effective interventions. FROM STUCKNESS TO GROWTH: Executive Coaching - By Yechezkel & Ruth Madanes, with a Foreword by world-renowned authority in organizational transformation Ichak Adizes, Ph.D.
"To succeed as a leader you must uncover the belief system that shapes your decisions. Powerful tools for transformation!" —ANTHONY ROBBINS, New York Times best-selling author of Awaken the Giant Within and Unlimited Power. You can read Dr.Adizes' foreword here. Life is moving very fast these days, perhaps faster than ever before. This creates a lot of stress and confusion.Using the Enneagram system of personality types, this inspiring, heart-opening, and easy-to-read book will give you a new way to look at meditation. It is not just a means to empty your head or suppress your emotions to temporarily avoid stress and pain. You will learn to see it as a tool for being more compassionately aware of what your mind and feelings are up to, so you can develop the ability to recognize all the distractions that prevent you from tapping into your inner power, the wisdom that is already within you, in your soul. This will allow you to achieve true, sustainable calm and harmony in all areas of your life, whenever you desire it. Why do most people wander through life with a sense of an existential emptiness they are unable to neither fill nor explain? A sense that there is something bigger and more important they should be doing with their lives, if only they knew what it was? Why do people make the same mistakes over and over again, and consequently fail to be happy? In Wake up! You Are Not You - The secret to understanding why you keep making the same mistakes and can’t be happy, Ruth and Yechezkel Madanes explain who we really are and what we are here for, as well as who we are not and what we aren’t here for. They will help you discover that two voices coexist inside yourself: one that knows the correct thing to do, and the other that wants to just do as it pleases. Think about this: if you know what do you need to do, then who is doing the opposite? Combining their extensive background in personality types, coaching and spirituality, Ruth and Yechezkel Madanes are helping people around the world to unmask and uncover their false self, identify the characteristics of their ego, and thus understand why they keep repeating the same mistakes. Once we discover who we are not, we are able to connect with our real selves and unleash the hidden power of the soul in our daily lives. Dr.Ichak Adizes is one of the world’s leading management consultants, advisor to heads of state and professor of management at some of the world’s most prestigious universities. He created a legendary methodology that bears his name and is the autor of 26 books. Together with Yechezkel and Ruth Madanes, in this book they will teach you the secret to manage your marriage and your family as an organization. In this book you’ll learn that – contrary to commonly held beliefs- you don’t need to panic if you experience conflict in your marriage. Dr.Adizes, with his signature academic rigor, will show you why conflict is inevitable and how to use it to build an happy marriage and family. In this book, you’ll learn: • The four roles that are needed for a healthy couple and family functioning. • How to use the family lifecycle to keep the enthusiasm alive • How partners destroy each other – and how to prevent that from happening to you • How to understand our partner’s personality style to communicate better with each other. Indispensable to both young couples and to established marriages – and of great value to anyone considering a relationship as well- this book will help you navigate your marriage life and not only survive but actually thrive in these times when couples are suffering constant crises. Книга о мощной методике, сочетающей в себе модель ролей PAEI Адизеса и типологию личностей по эннеаграммам, которая поможет раскрыть ваш потенциал руководителя. DEJA DE ESTANCARTE Y CRECE! Te sientes estancado profesional y personalmente, tienes la sensación de que posees un gran potencial aún sun explotar? Has emprendido quizás un proceso de coaching o de autoconocimiento... sin resultados espectaculares? .Ha llegado el momento de cambiar de enfoque. Este libro combina por primera vez las técnicas del coaching con la sabiduría del Eneagrama para enseñarte a descubrir qué rasgos definen tu personalidad, qué mecanismos te impiden seguir avanzando y, por fin, qué herramientas de coaching son las más adecuadas para potenciar tus cualidades únicas.Un libro tan riguroso como transformador, que te enseñará de una vez por todas, a acceder a ese caudal de capacidades que está ahí, esperando ser liberado. En nuestros días la vida pasa frente a nosotros cada vez mas de prisa, quizás más que en cualquier otra época previa de la Humanidad. Esto causa en nosotros mucha confusión y stress. 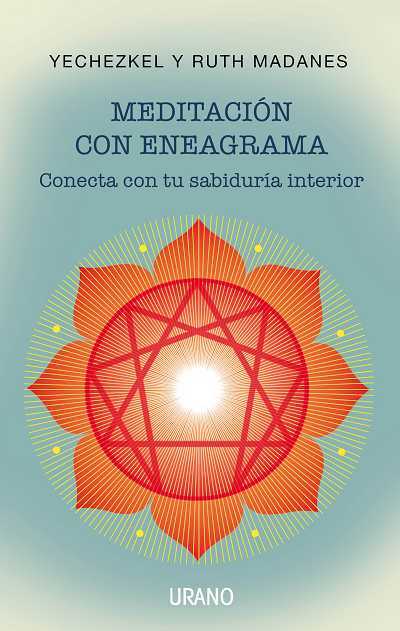 Usando el Eneagrama, este libro inspirador, profundo y fácil de leer, te guiará hacia una nueva manera de hacer meditación. No como una solución rápida para evitar el stress y el dolor tratando de suprimir tus pensamientos y emociones temporariamente - sino como una herramienta para ser más paciente y amoroso contigo mismo. Este libro te ayudará a desarrollar la habilidad de reconocer y prevenir las distracciones que tu mente fabrica y que evitan que puedas alcanzar tu verdadero poder interior: aquella sabiduría que ya existe dentro de ti, la que proviene de tu espíritu. De esta manera alcanzarás una calma y armonía duradera en todas las areas de tu vida, cada vez que lo desees. Publicado por EDICIONES URANO, Barcelona, España. Despierta! 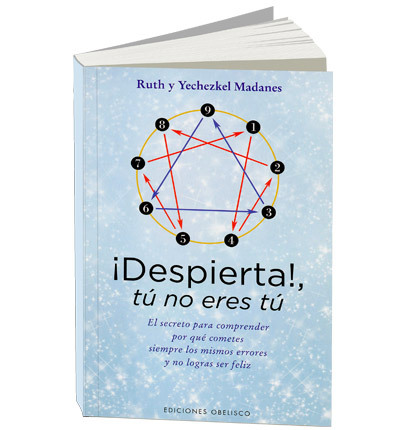 Tu no eres tu(The secret to understanding why you keep making the same mistakes and can’t be happy ). In this new book we combined psychology and spirituality. In it, we help people to unmask and uncover their false self and identify their ego characteristics and thus understand why they keep making the same mistakes over and over again. Once they discover who they are not, they are able to connect with their real self and unleash the hidden power of their soul in their daily lives. Publicado por EDICIONES OBELISCO, Barcelona, España.